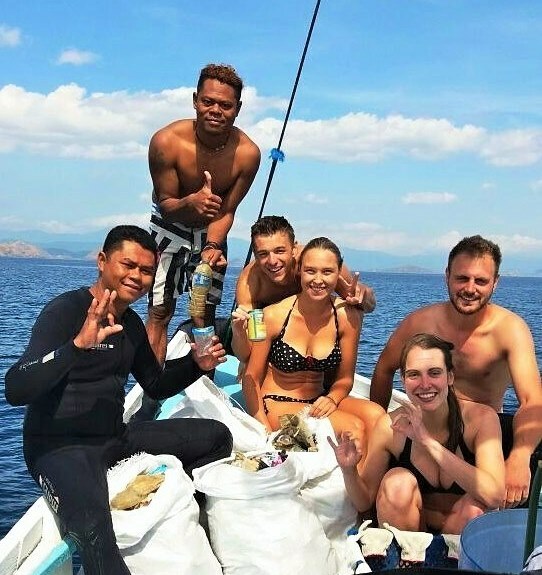 Our Eco-diving program is a not-for-profit initiative that aims at doing something good for the environment while diving at one of the world’s best destinations. 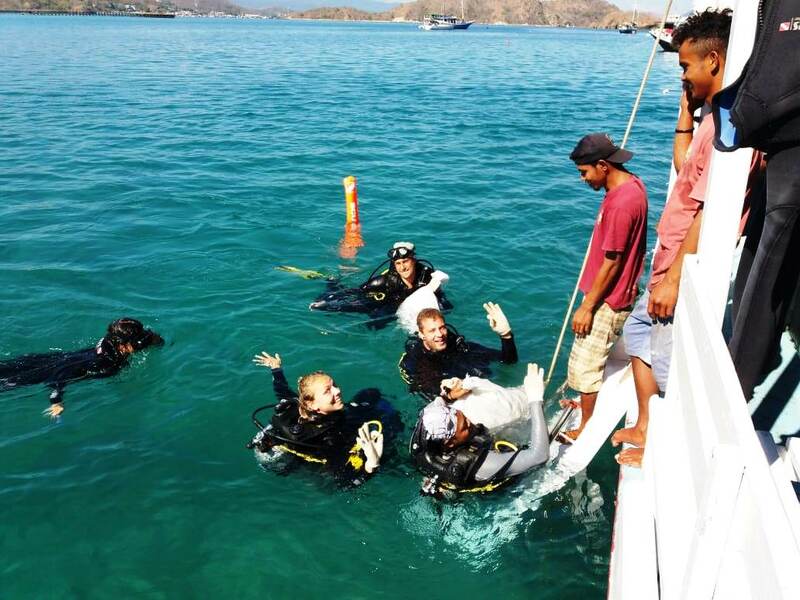 It is not a ‘cheap’ way to dive in Komodo but an opportunity for divers to give something back to this precious and sensitive environment, which is under ever increasing pressure also due to the fast growing number of visitors. 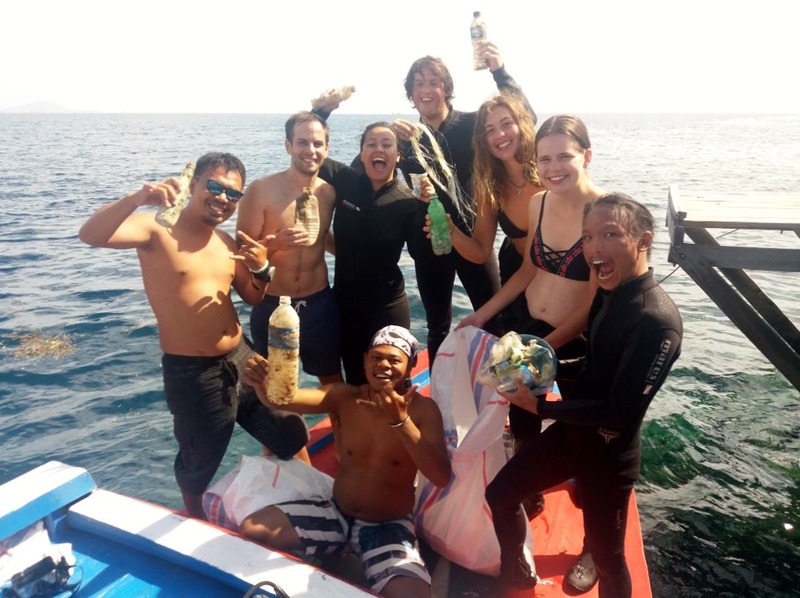 With the Eco-diving you go out for a clean-up dive at a nearby location and after that you head off for two fun dives at two different dive sites outside the National Park. For the clean-up dive we group divers into buddy pairs. Each pair gets a collection bag and protective gloves for picking up the trash. 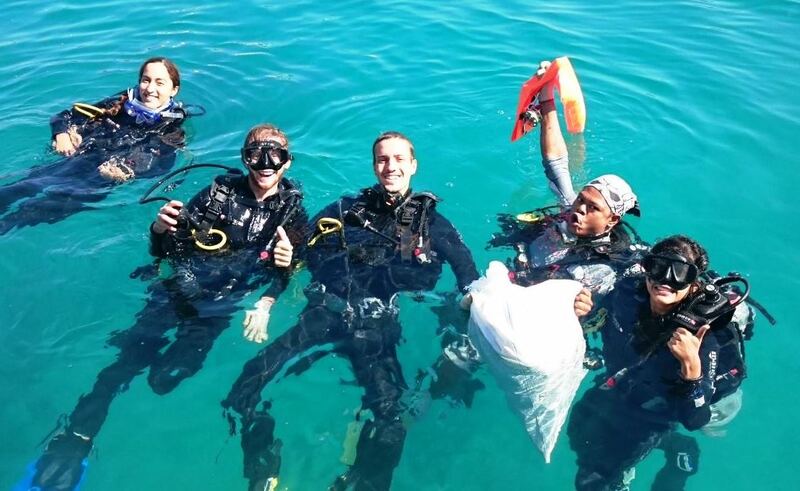 Our Divemasters supervise the clean-up, which ends after 30 minutes or when the bag is either full or too heavy. We leave before 8 am and return around 4 pm. 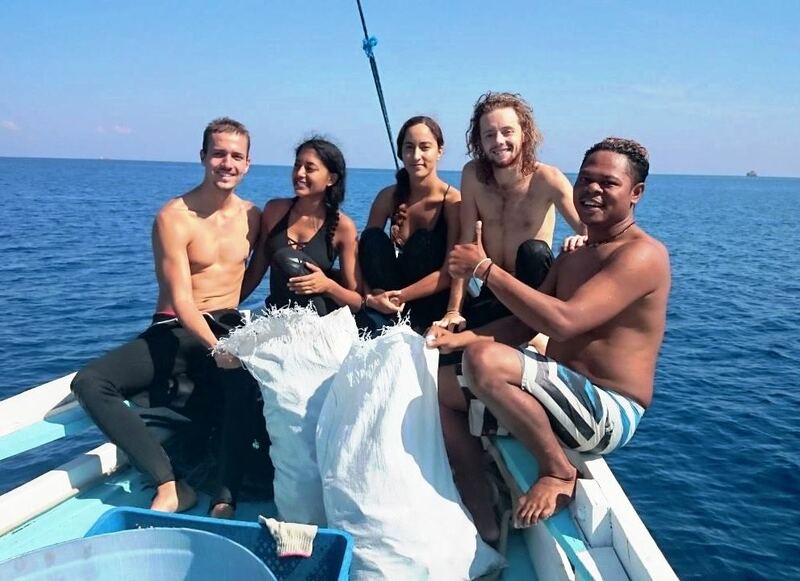 The price of the Eco-diving is 850,000 IDR per person and includes tourist fees, dive gear (except computer), collection bag and gloves. We also serve a small breakfast and lunch on board, as well as water, snacks, tea & coffee throughout the day. 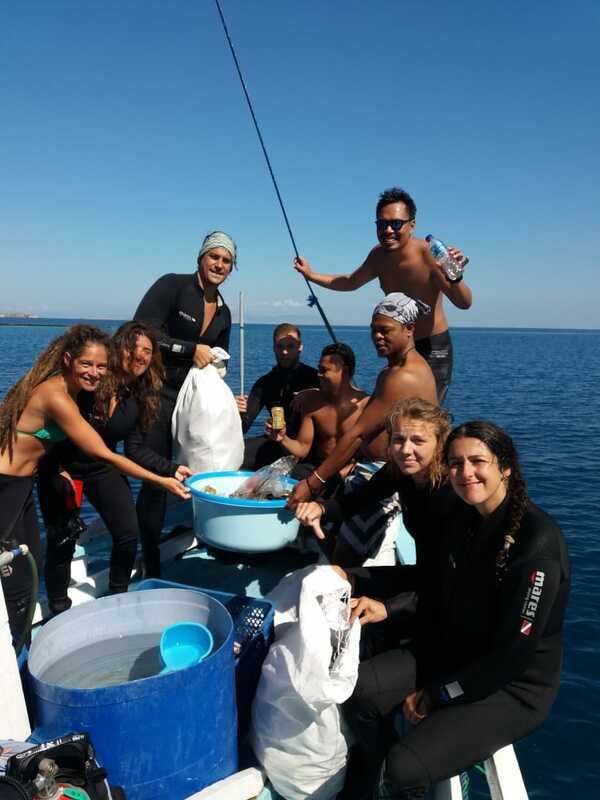 Due to its not-for-profit nature, we need a minimum of 4 participants to organize an Eco-diving trip. The maximum number of participants is also limited to 6-8 to ensure proper supervision. 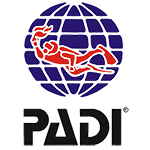 You need to be a certified diver with at least 10 dives experience in order to participate. 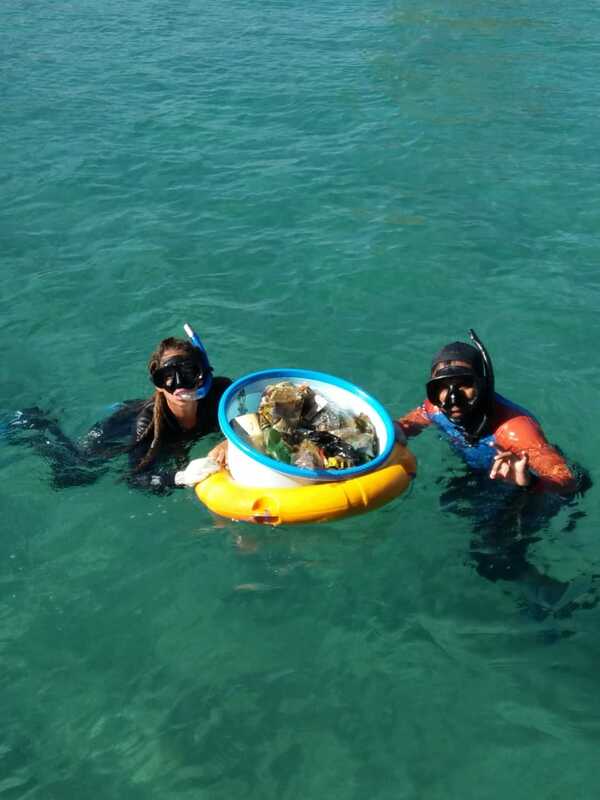 Non-divers/snorkelers may be allowed to join provided the designed clean-up location is suitable for surface clean-ups as well. 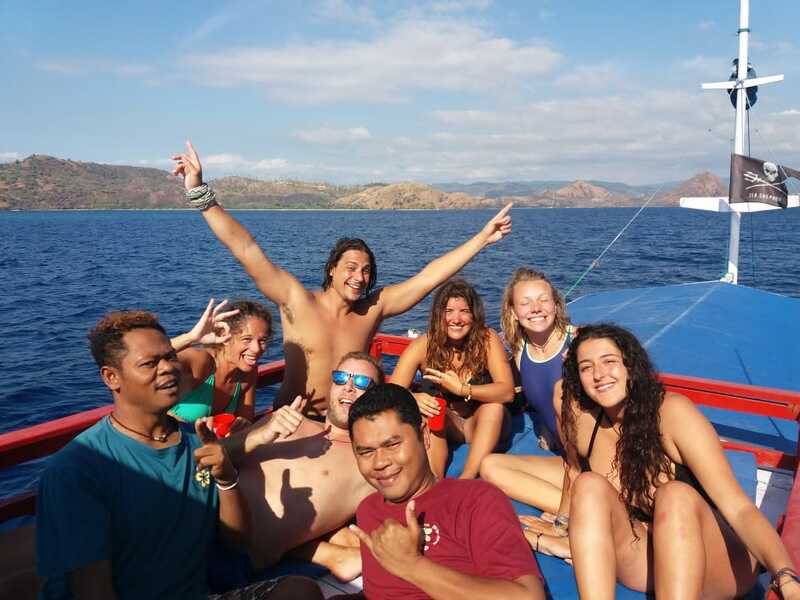 Since we need a minimum number of participants the Eco-diving cannot be pre-booked unless you already are in a pre-formed group of 4-6 people. 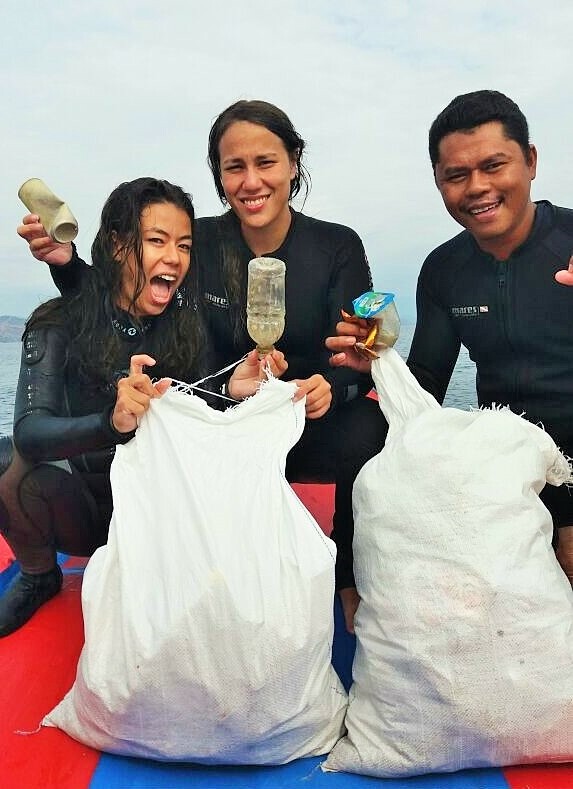 You can however let us know that you are interested once you arrive in Laban Bajo and we will organize the clean-up as soon as we reach the required number of participants.